Cape Town – Despite terminating its nuclear new build request for information in 2017 following a court decision to halt the process, Eskom is powering ahead with plans in preparation for the tender programme to be rebooted. Nuclear vendors from France, Russia and China had prepared lengthy documents to submit to the national power utility in the first round of the tender process in 2017. Eskom would have proceeded with a request for proposals following this process, had the Cape Town High Court not terminated the process, which forced it to reject all request for information submissions. “All current nuclear procurement processes have been suspended after the Western Cape High Court case,” Eskom’s board said in a shareholder report on September 30 2017. Fin24 and EE Publishers have seen this report, which however also shows that Eskom’s preparation for a nuclear new build programme has continued. “Whilst Eskom has terminated all procurement processes, current development work as the owner and operator is ongoing, in order to reach a state of readiness for construction." In a section on tax planning, the document states that Eskom "plans to conduct research and develop a technical document on the components of a new nuclear power station that should qualify for accelerated capital allowances”. However, Eskom also noted that current government guarantees do not provide for further investment in capital expenditure beyond the Medupi and Kusile new build programmes. While Finance Minister Malusi Gigaba has said government does not have the money to provide any further guarantees to Eskom, new Energy Minister David Mahlobo and President Jacob Zuma have made it clear that a nuclear programme will go ahead at some point in the future. “The current government guarantees issued to Eskom does not provide for any investment in future capital expenditure beyond the current committed build programme,” Eskom said in its report. 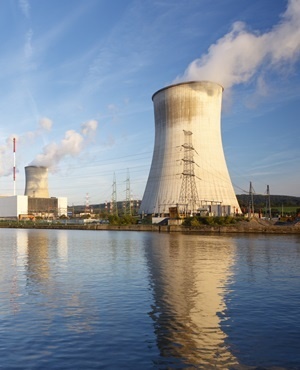 A new study released on Thursday by Meridian Economics, meanwhile, argued that Eskom should not build any new nuclear power stations if it wants to survive as an entity. “Overall the system level analysis thus shows that South Africa does not need a nuclear, coal or gas procurement programme,” the report stated. Eskom’s shareholder report also shows that the power utility's cash has dried up, and that it is set to make an annual loss of about R3.5bn this year. It appears to be caught between a bailout and a tariff hike, both of which would have a detrimental impact on South African consumers. Acting finance chief Calib Cassim told the National Energy Regulator of South Africa hearing on Thursday that if Eskom could not plug the gap between its revenue and debt servicing costs, it would have to secure a bailout from Treasury. The bailout will ultimately mean the South African taxpayers would have to pay, Cassim said.